Two years ago, JDSU spun out its optical components business as a separate entity. The piece that remained, which incorporated test instrumentation and optical security, was christened Viavi Solutions. The logic was that the different parts of the business – test instrumentation and optical modules – had different requirements and different trajectories, and would be better served by going their separate ways. The move represents a significant departure from the thinking that created JDSU in the first place; the company rose to prominence as one of the most acquisitive players of the dot-com boom, vacuuming up start-ups and established players alike. JDSU became a force in test and measurement when the company acquired Acterna, then the number two in the market, for $760 million in August 2005. Further acquisitions expanded the company’s test portfolio; it bought Agilent's wireless network test business for $165 million in May 2010, and Network Instruments, a provider of performance monitoring instrumentation for enterprises and cloud companies, for $200 million in January 2014. Past performance is no guarantee of future success, however; especially in a turbulent industry like telecom. In addition, Viavi has faced unique challenges of its own. Not only did the firm change its name; two weeks after the spin-out, CEO Thomas Waechter, who had led JDSU since 2009, stepped down to pursue other interests. 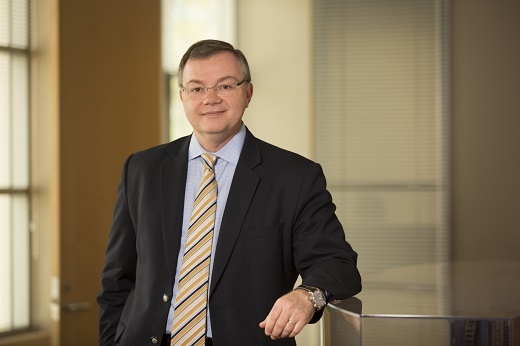 Following an executive search Oleg Khaykin, a semiconductor industry veteran, took the helm. Khaykin was soon convinced that joining Viavi would be the right move. ‘When I look at a technology company, my first question is how good is their technology? Because in the tech space if you are mediocre then there’s not much you can do. After doing my due diligence I was very satisfied that in the markets that they play, Viavi has the best technology in the world,’ he declared. ‘On top of it the company had a balance sheet that was in fairly good shape. More importantly it had significant NOL reserves, which is net operating loss. If you remember back in the days of JDS Uniphase, it made significant acquisitions and many of them were written off. So as a result, the company has big tax loss reserves that, if you start making money, work very nicely for you. He continued: ‘The first thing I did was, when I came in, was secure the base. We looked at our core business where we are a strong market player, we made sure we refocused on it and stopped the forced attrition to fund businesses that had no established position. Second, I looked at all the so-called growth initiatives which were not growing, and were consuming a significant amount of cash. But Viavi did not exit software completely. ‘We decided to make sure that where we do play in software, it is tied to our position in instrumentation and reinforces and acts very synergistically with our instrumentation, and at the same time, positions us well for the industry trends towards a greater degree of virtualisation and automation of the customer network,’ he explained. Second, operators are consolidating. For instance, AT&T is buying Time Warner Media, and Charter bought Time Warner Cable. ‘When [our customers] combine the first thing they do is combine network operations, field teams and so on, and a lot of decisions on upgrading and replacing their test and measurement equipment get delayed until they figure out their new structure. So that reduces the size of the market,’ he explained. At the same time, technologies continue to evolve at what seems like an accelerated pace. ‘It’s still just as much work needed to bring out new technologies, but now you have a smaller number of units over which you have to amortise it. Pricing cannot really move that much, so that puts significant price pressure on the product,’ Khaykin said. However, where there is disruption there is also opportunity. While some markets are declining, others such as hyperscale data centres are growing rapidly. ‘This whole web 2.0 scenario – Facebook, Google, Microsoft, Alibaba, Baidu – presents significant opportunities for us in terms of traditional test and measurement equipment, but you need to modify your product and your go-to-market strategy to take advantage of that,’ he said. This means Viavi has a broad product portfolio, stretching all the way from the home to the core of the network. In terms of speeds and protocols, the firm has to stay abreast of developments in gigabit-capable G.fast for copper networks, through DOCSIS 3.1 in hybrid-fibre coaxial networks, to 400G optical transmission in core networks, and the plethora of emerging optical protocols for data centres, to mention just a few. Viavi’s product development is now based around fewer platforms that support multiple applications. ‘For example, before we made 80 different products and we had 80 different platforms because we had one perfectly tailored for each sub-segment of the market. Today we’re trying to do it with three to four general platforms with interfaces and software being used for customisation for each of the different segments,’ he explained. The company is also ‘working smarter’ by considering future data rates at an earlier stage. Every development for high-performance lab equipment is already tagged on the firm’s roadmap for mid-range products. For example, when Viavi makes an instrument for the lab at 400G, it knows that within two years, it will need the exact same capability in its metro and in data centre products. Close ties with suppliers and customers are also vital when working at the cutting edge of technology. ‘I think terabit is the next stop,’ said Khaykin. ‘It’s a very symbiotic relationship to [develop a] terabit tester when nobody can make the components for it, right?’ The test instrumentation company sits between the service provider and the component manufacturers; vendors must work together to take the technology forward. Trilithic, located a couple of miles away from Viavi’s design centre in Indianapolis, sells broadband instruments for home installers. With annual revenues in the region of $20 million, its products compliments Viavi’s high-end, complex test instruments for network technicians and will help the company expand outside North America. The deal closed on 9 August.